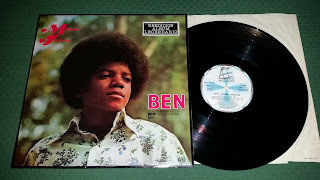 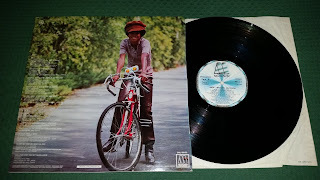 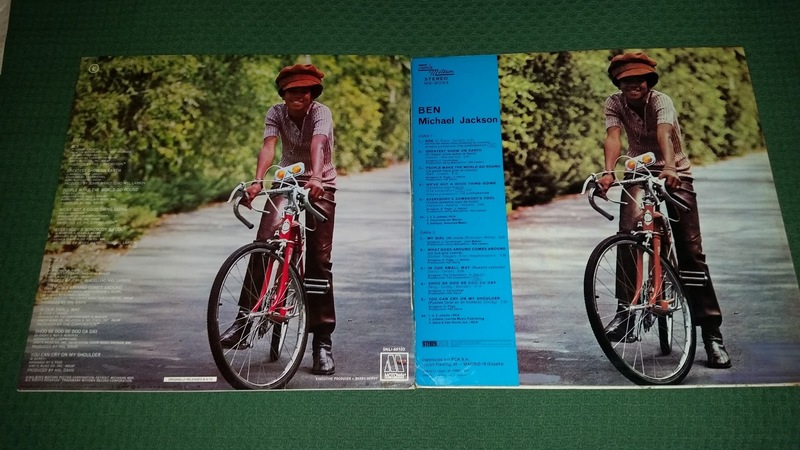 The newcomer today is a spanish reissue of the album "Ben", released by Motown in 1972 and second release of the entire Michael's solo discography. The original spanish press had a totally different catalogue number, a different back (with song titles on a blue background strip), and different labels of course (blue labels). This reissue, named "reedicion album legendarios" (with the same sticker we have "Got to be there" and "Forever Michael" too), have a white/light blue label with 80's Motown logo, and a full picture back sleeve. 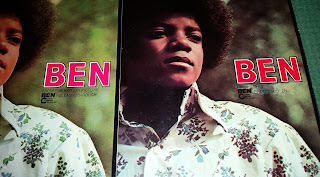 Another great difference between the 2 spanish twins: the original press report under the title "Ben", the infos "Del film BEN producido en Cinerama releasing" (with the original writing watermarked!!! 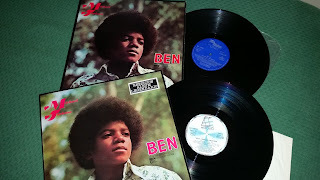 ), the reissue hacve the same info but...in english language ("From the motion picture BEN released through Cinerama releasing"). I love these differences, it's one of the reasons why I collect. By the way, here they are: both spanish "BEN" releases!